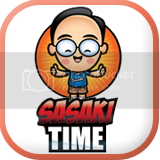 Sasaki Time: Movie Review: Disneynature's Bears - The Best Disneynature Film Yet! 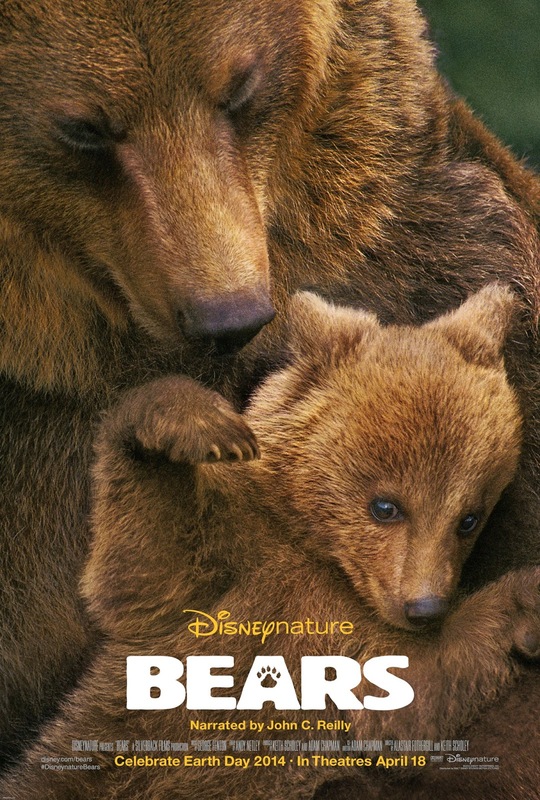 Movie Review: Disneynature's Bears - The Best Disneynature Film Yet! 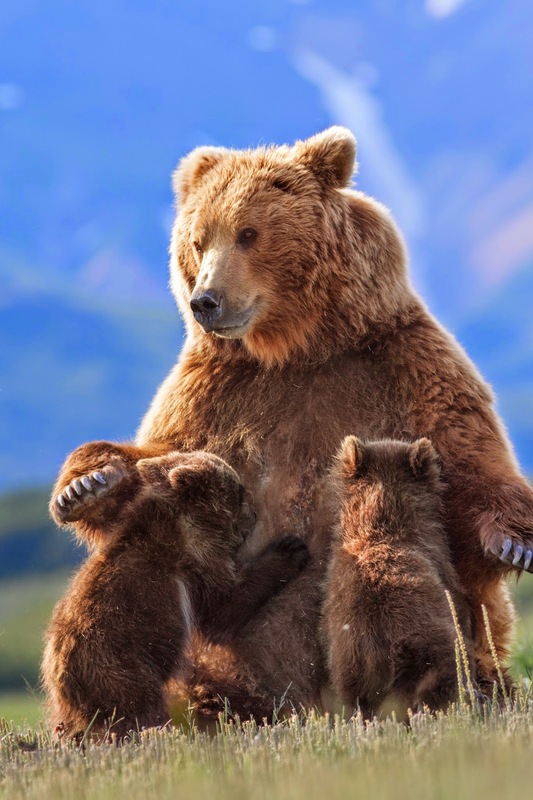 Disneynature brings us Bears, which follows a year in the life of a new mother bear and her two cubs. 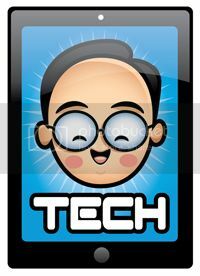 Narrated by John C. Reilly, the voice of Wreck-It Ralph, who gives the film heart and humor. 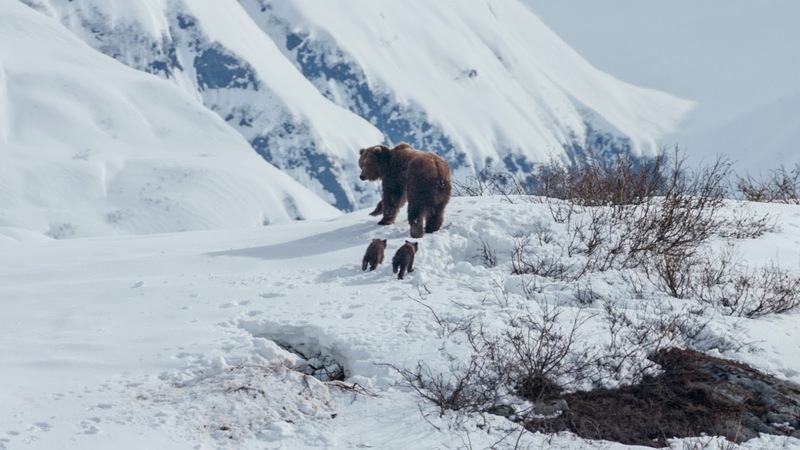 We are introduced to the mother bear Sky and her two cubs Amber and Scout as they come out of hibernation. Amber likes to spend time close to her mom while Scout likes to go and do what he wants. Winter is at an end as the family emerges from their den. They begin the long journey down the mountain to find food and build up reserves for the coming winter. On the way down the mountain they have to worry about avalanches. 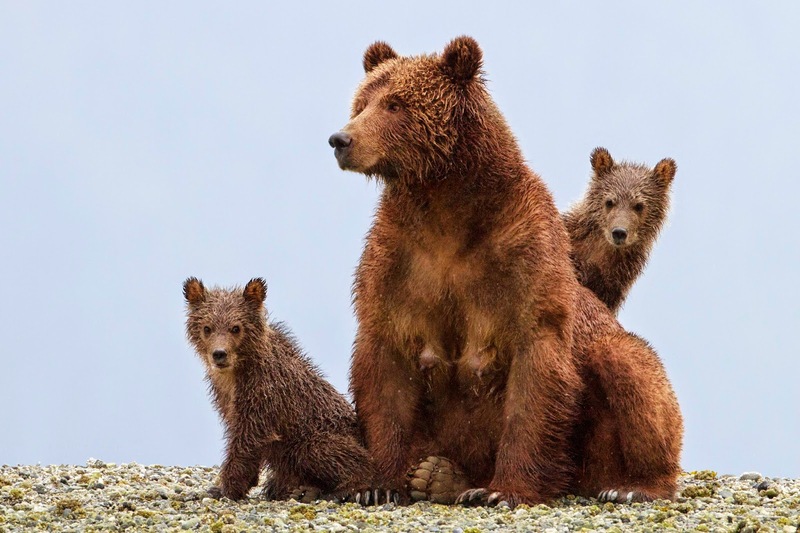 Once the family makes it down the mountain Sky now has to worry about male bears. She is constantly on the lookout and keeps her cubs close. 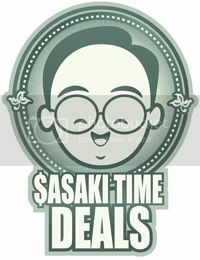 There are other threats such as this lone wolf that always seems to be hanging around. As salmon season approaches, the bears fight for the best fishing spots in the river. 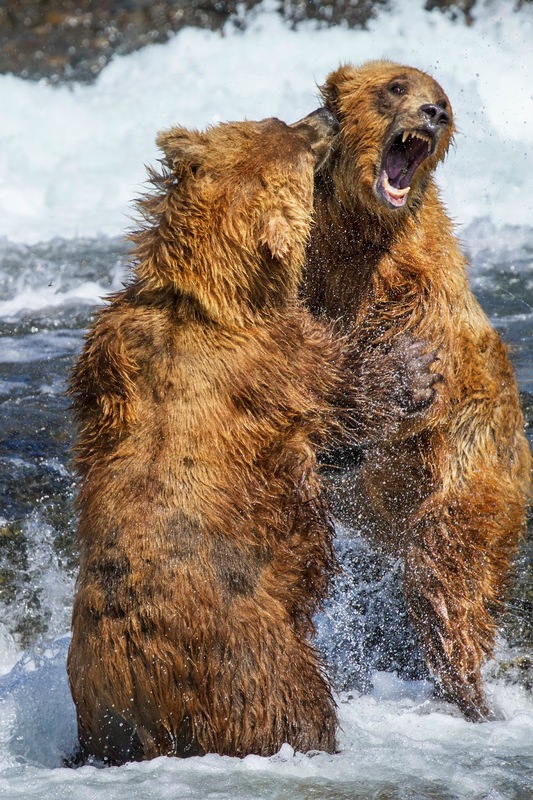 These fight scenes may be intense for little ones but after all these are bears. Will Sky be strong enough to get food for not only herself but for her cubs as well? The majestic beauty of Alaska serves as the backdrop for this epic story of love and family. 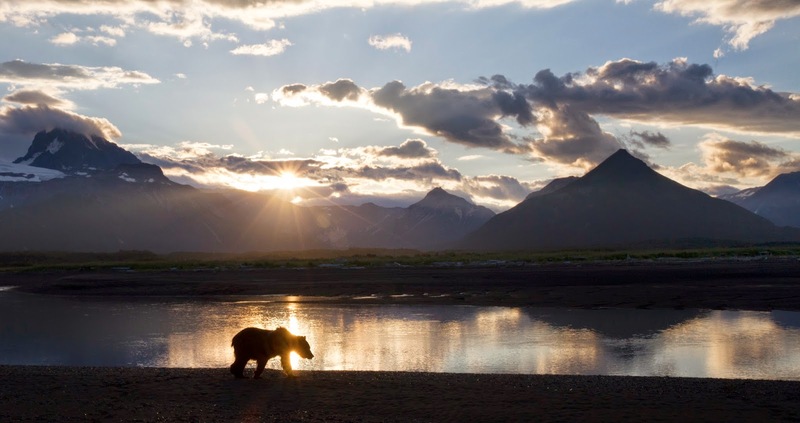 See Disneynature's Bears opening week (April 18-24, 2014) and Disneyanture, through the Disney Worldwide Conservation Fund, will make a contribution to the National Park Foundation. Stay through the end of the film to see some amazing video of the filmmakers in action. 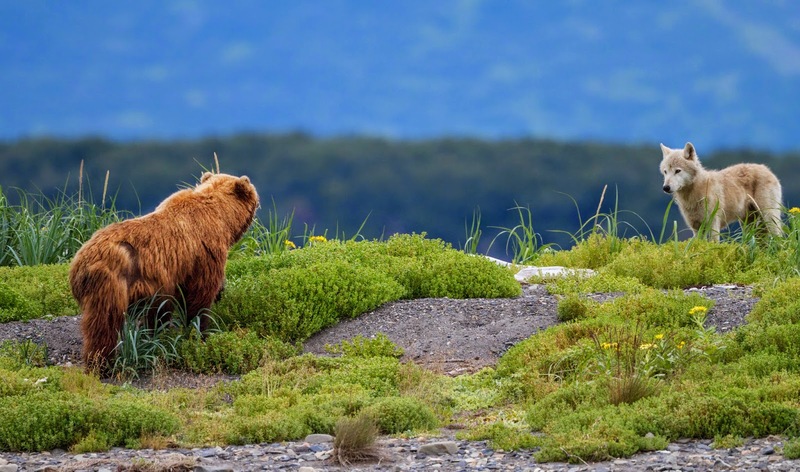 See how close they got to these beautiful bears and other wildlife. 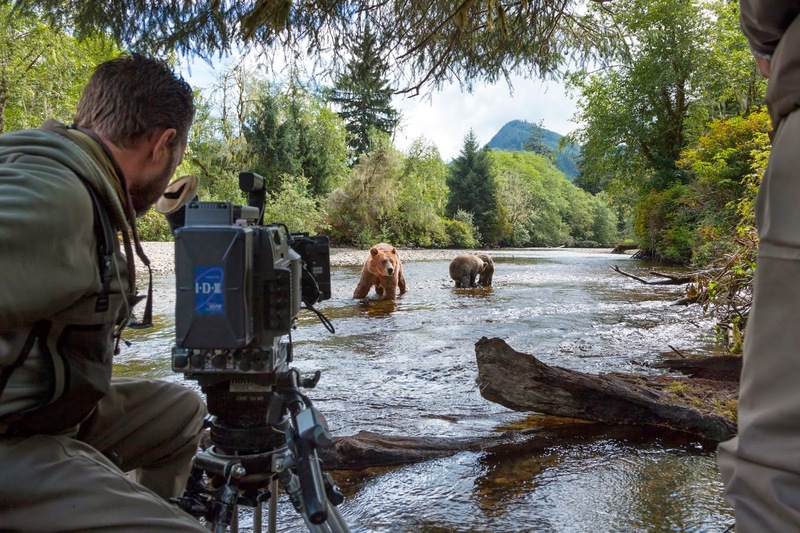 They would spend up to 14 hours a day filming the bears. Of that, only 3 or 4 minutes of film would be used in the film. 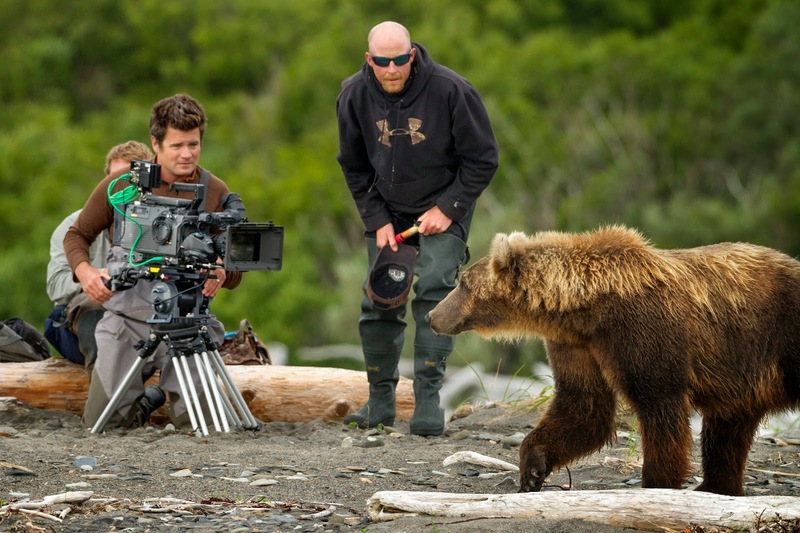 The filmmakers worked closely with guides who let them get extremeley close to the bears and to the wolves without feeling threatened. The guides did not carry firearms or pepper spray during filming. They did carry handheld flares in case they needed to scare off a bear or other predator. The flares have only been used four times in the last 25 years. 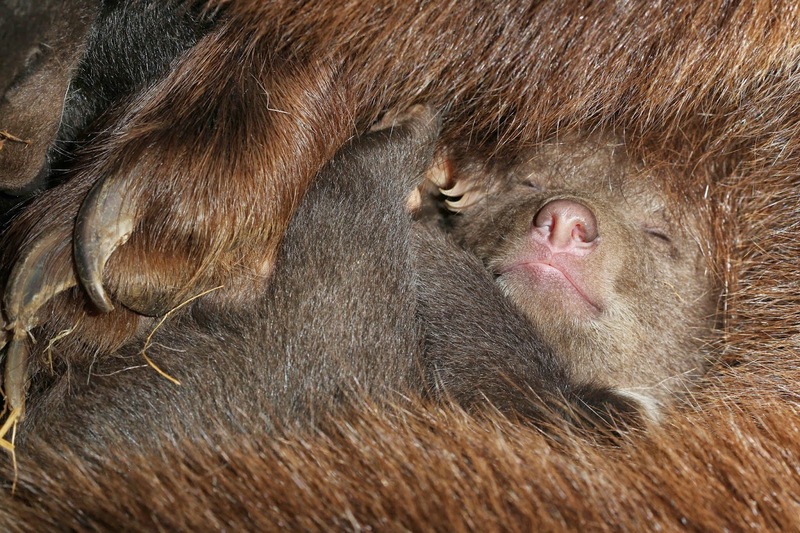 The painstaking effort of the filmmakers created an emotional filled journey of a mother bear and her cubs. A wonderful film that embodies it's heritage in the True-Life Adventure films. It shows us a world that we will never see and brings home the universal message of family. 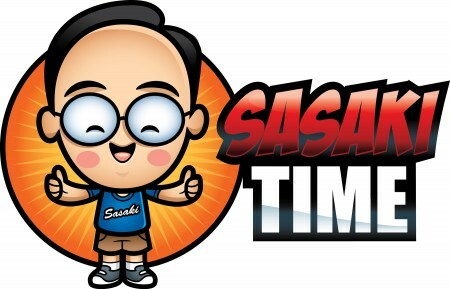 Giveaway: A Captain America Mug! MALEFICENT - "The Legacy" Featurette! MALEFICENT - Elle Fanning Visits Disneyland! 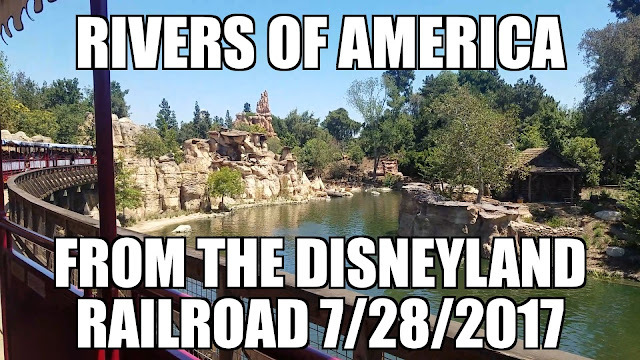 Disneyland Egg-Stravaganza Hunt 2014 (spoilers)! Check out the new banner for MALEFICENT! The Pie Hole - Must Have The Earl Grey Tea Pie!